One of our few getaways together this summer was a quick trip to Colorado during the first part of July. We went to spend time with our favorite “blondies,” the nieces (ages 6 and 9). What cuties! On our last evening there, the BiL and the girls treated us to a special dinner in Denver. My brother-in-law knows that we like adventurous food so he took us to one of their favorite places, the Queen of Sheba. Even though we are adventurous foodie souls, he gave us a few warnings about the place: (1) It’s in a strip mall; (2) It’s on Colfax Ave.; and, (3) It takes a while to get your meal. I responded with the following: (1) Sometimes great food is in nondescript locations; (2) I have no preconceived ideas about Colfax Ave.; (3) So, everything is made from scratch as you order it, right? I was dead on with the last comment. Nothing is made until you order it. Service was great, the food was delicious and we so enjoyed watching the “blondies” dive in to the platter of food. I think we went through five orders of Injera (traditional Ethiopian flat bread). We started off with an appetizer of Sambussa (a spicy, lentil stuffed turnover), then moved on to our platter of food including Shiro Wat, Tikil Gomen (a cabbage and potato dish that I only got a smidgen of because the youngest niece was inhaling it), Kik Alicha (yellow split pea stew), and some meat dishes. I was most taken by the vegetarian fare here although everything was tasty. I also had some great spiced tea. Enough about our trek into Ethiopian cuisine and our nieces but let’s easily segue into the current reading selection for Cook the Books, a bimonthly cooking book club. For this round, Rachel from The Crispy Cook is hosting Yes, Chef! by Marcus Samuelsson. Rachel’s selection came at just the opportune time for me to experiment with Ethiopian cooking and try to recreate some of our favorite dishes from that meal. Samuelsson’s memoir reminded me a lot of The Apprentice: My Life in the Kitchen by Jacques Pépin. 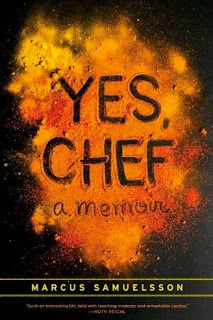 Both books are an honest telling about a chef’s passion for food and life. Both chefs do not hesitate to highlight their mistakes and shortcomings as well as a commitment to their careers and the lifelong love of food. The siblings are not separated and are lucky enough to be taken in by one of the hospital nurses who finds a loving Swedish couple to adopt them. You probably already know this part of his story though as Samuelsson has become a staple on television and has obtained celebrity chef status. I did not know about his reconnecting with his father who he had been told was long dead. He experiences his birth country and the cuisine when he returns to Ethiopia (after almost 30 years) to meet his very much alive 80-year-old father and eighteen half-siblings. These experiences AND my own experience at Queen of Sheba stopped me looking any further for inspiration. I would recreate an Ethiopian feast. I am linking to other recipes for the feast but am including a couple of recipes here: how to make Mi’tin Shiro (because it was crazy hard to locate) and Shiro Wat (because I loved, loved, loved this dish). I was freshly grinding most of my spices and seeds like the allspice, nutmeg, coriander, fenugreek and the cardamom seeds. Since this recipe also called for red pepper flakes and the dried onion, I threw this all into the food processor to mix and to also ensure that all of my spices got ground up as fine as possible. *I removed the seeds from the cardamom pods and then ground them. If using already ground cardamom from the store, use 1 1/2 teaspoons. Now, you are ready to make some Shiro Wat. Based on recipe found here. Heat oil in a large deep skillet. Cook the onions until soft then add the minced garlic and cook 1 minute more. Add the tomato paste and mix well. Stir and cook for a few minutes. Add 2 cups of water, and bring to a boil. Add the mit’in shiro powder slowly and stir briskly (preferably with a whisk) to remove any lumps. Add more water or oil as needed to achieve the right consistency. Add salt if you desire. You can tell when the Shiro Wat is ready when it gets very thick and pops, almost like a porridge. (Be careful as it will bubble and pop like a cauldron.) The oil will also separate and rise to the top so whisk before serving. I love this stuff. I could eat it by the spoonful. I think that I made mine a bit too thick and will add more water next time. This makes about three cups. The Sambussa are the turnover looking dishes and the Shiro Wat is the red dish in the middle. The Injera disasters are on the left. 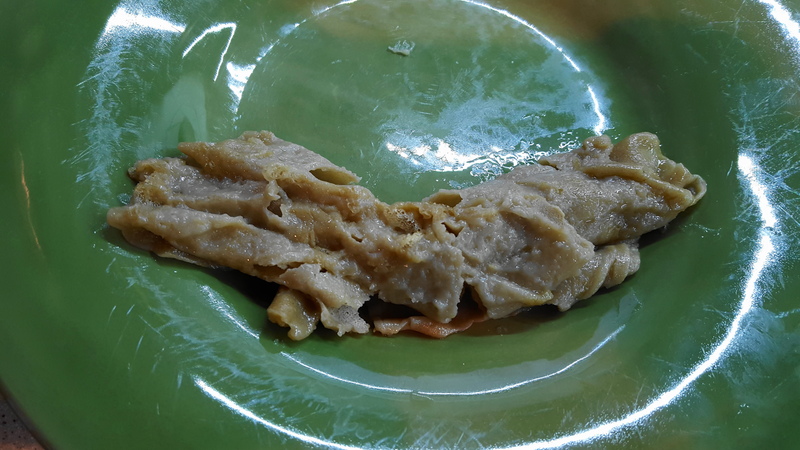 I also made some Sambussa (you can find a great healthy version here). I made a dip for the Sambussa with about a cup of Greek yogurt, a bit of lemon juice and olive oil, garlic, and cilantro (in the orange dish above). My Sambussa was baked but the filling was spot on with what we sampled in Denver. 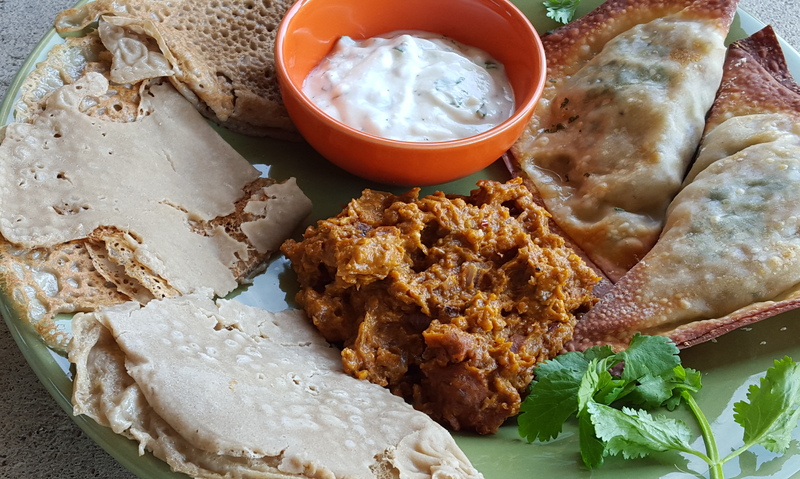 I ordered the teff flour for the flatbread early but didn’t practice making Injera until I made this meal (and at the last minute for CTB) . I attempted it (recipe found here) but I obviously need more practice. I am sure that Samuelsson’s first attempts were much better; he had an expert teaching him in the older woman from Addis Ababa on his first trip to Ethiopia. Second attempt. Still not good. Sort of okay. Not like the restaurant. Hopefully, practice will make perfect (or at least better than these). My intent was to make Tikil Gomen (you can find a recipe here) because I wanted to perfect the dish for the nieces. 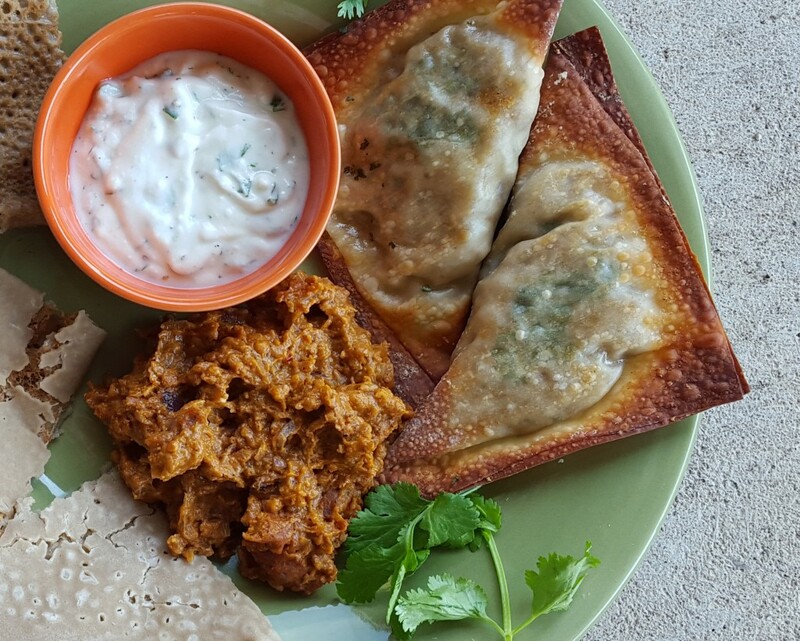 This, my friends, did not get done before the deadline but I can tell you that I will be making this meal again and experimenting with other Ethiopian recipes because I love these spice combinations. I ordered Berbere spice along with the teff flour and I can’t wait to use it in something. Although I didn’t use the Berbere in any of these dishes, I ordered it as an homage to Samuelsson. He speaks so lovingly about the spice and I cannot wait to use it. 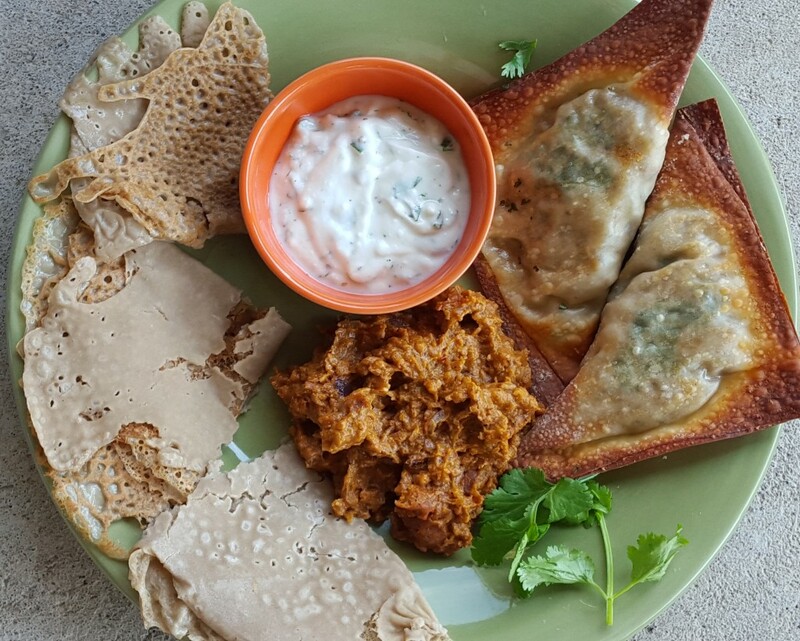 If I have inspired you (through Chef Samuelsson) in any way and you would like to cook an Ethiopian Vegetarian Feast, please check out this most helpful link as well. Please join CTB for the October/November round as we read The Hundred-Foot Journey by Richard C. Morais (hosted by Deb of Kahakai Kitchen). We are partnering with Food ‘n Flix in November when the film adaptation of the book (starring Helen Mirren) will be featured. Maybe I will try my hand at making Naan then. My culinary book club has read both Samuelsson’s and Pepin’s autobiographies, and mainly enjoyed them. We were a little uncomfortable with some of Samuelsson’s personal relationships and lack of responsibility, but it was pretty interesting anyway. Pepin’s book is really a classic experience of a chef-training system that’s disappeared in today’s world. I admire your efforts to recreate Ethiopian food! I do see your point. I think he was just so young…I did enjoy his early days in NYC. Hmmm….you have my interest piqued, Kelli. You can’t go wrong with cinnamon! Samuelson’s book is on my list of must reads and after reading this it will be the next one. Sounds like you had a great time in Denver. I love it there and Colorado Springs even more so. It’s good that the “blondies” enjoy a variety of foods, unlike most kids who eat hamburgers and fries all the time! I love to see little kids eat adventurous. Typically, they are kind of picky eaters so this was amazing!!!!! I’ve done injera before! It does take a couple of tries to get the timing down, but totally worth the effort. Ethiopian food is one of my favorites! Thank you, Alicia. Your Injera was much better! First I am very jealous that you found a great authentic Ethiopian restaurant. What a great experience to share with yoru nieces. Second, I am super impressed that you made an entire feast. Kudos to you. Well, I think “feast” might have been an exaggeration on my part, but thanks. We haven’t found a restaurant close to home, though. Everything looks so good! I was really surprised at how much I loved this book. I almost want to go to Denver, just for good Ethiopian food 🙂 What a feast you made! Thanks, Claudia! 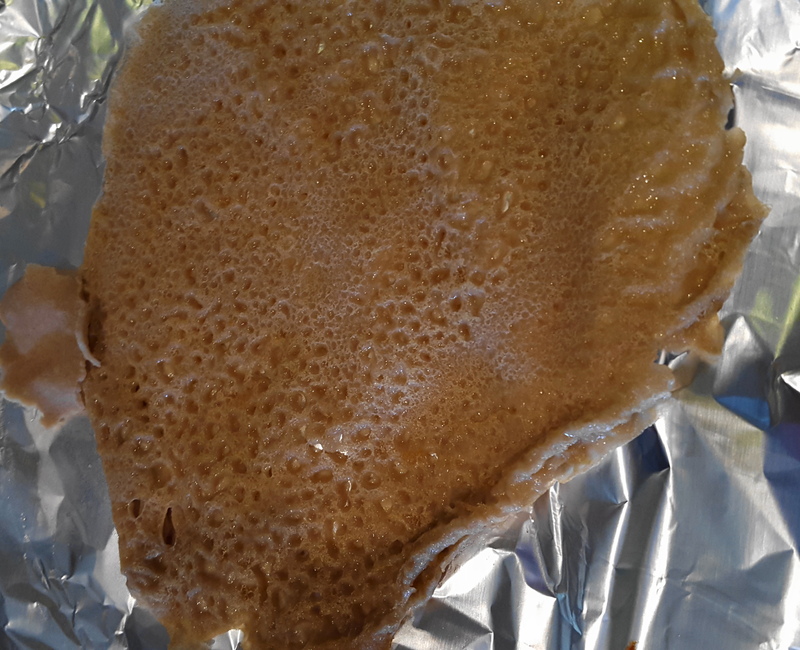 Just gotta work on my injera skills. 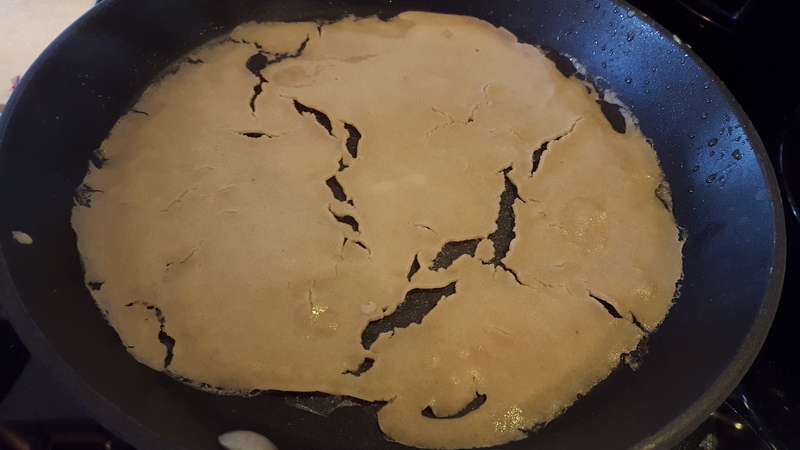 I have never attempted injera. Some day… your post is amazing. What an accomplishment to make all those dishes. Thank you, Camilla. That means a lot coming from you! What a beautiful plate! How serendipitous that you were able to visit an authentic restaurant, too! I enjoy eating at Ethiopian restaurants and injera is one reason, so I understand the serial order. My one attempt to making it at home did not end well. Your Shiro Wat is quite tempting!